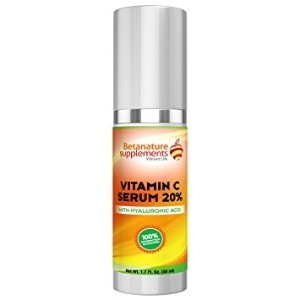 Betanature Vitamin c Serum Review: Would You Recommend This Product? This BetaNature Vitamin C Serum review will provide you with the information you need to determine whether or not this skincare treatment can really defy your age. This product uses a blend of reparative, hydrating, and exfoliating ingredients to brighten, moisturize, and smooth over the complexion. BetaNature Vitamin C Serum does a lot more than your average serum. Most serums bind a few hydrating ingredients to the skin, making your moisturizer more effective. 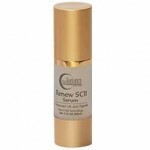 Although this particular serum does do that, it also repairs damage caused by environmental aggressors, diminishes the appearance of dark spots and wrinkles, and brightens the overall look of your complexion. For best results, apply an even layer of BetaNature Vitamin C Serum to your cleansed skin. Follow up with your preferred moisturizer, especially if you have dry skin. Although this product can protect your skin from damage caused by environmental aggressors, you should still wear an SPF of at least 30 during the day for optimum results. BetaNature Vitamin C Serum retails for $9.99 per 1.7 fl. oz. of product. Although it looks like you can purchase this serum on BetaNature’s website, it jumps to a third party vendor during the checkout process. 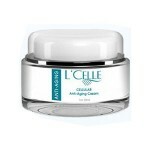 Vitamin C: This ingredient protects the skin from damage caused by environmental aggressors and brightens the complexion. Aloe: This ingredient prevents irritation and soothes the skin. 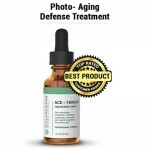 Hyaluronic Acid: This ingredient plumps up the look of fine lines and wrinkles and binds moisture to the skin. 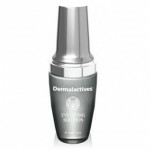 This product contains proven ingredients to improve the skin’s complexion. 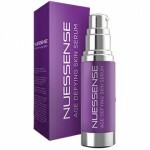 This serum contains ingredients that can repair damaged skin. BetaNature is not a well-known, trusted skincare brand. There are very few reviews available on legitimate, third party websites. 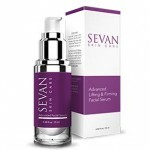 Customers claim this serum smells terrible and feels sticky upon application. BetaNature Vitamin C Serum claims that its blend of natural ingredients can revive damaged skin, diminish the appearance of dark spots, and stimulate natural collagen production with continued use. Although this may sound like the perfect multi-tasking skincare treatment, there are several issues we’d like to address before you consider purchasing. BetaNature is not a very well known or trusted skincare brand. We also noticed that reviews for these products are very few and far between. Although there are overwhelmingly positive comments on the third party site that BetaNature links to, we can’t find them elsewhere. The few reviews we were able to find outside of BetaNature’s own sites were quite negative. 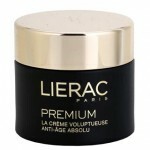 Customers claim this serum smells extremely unpleasant and feels very sticky upon applying it to the skin. We’d recommend continuing your search for a serum that includes a wider variety of skin-healthy ingredients. 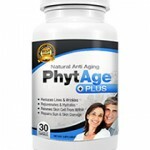 BetaNature Vitamin C Serum appears to be available on the BetaNature website, however, you are then redirected to a third party website for purchasing. We’d recommend contacting the individual distributor to determine whether or not this product comes with any sort of money back guarantee or exchange policy.